Herbert Neville (Herb) James, age 83, of Highlands, died on September 7, 2018 at Highlands-Cashiers Hospital. Born in Rabun County, Georgia, Herb was the son of the late Lawton P. and Irene Picklesimer James. He was preceded in death by a sister, Barbara J. Taylor and a brother, Tom James. He is survived by his wife, Barbara Calloway James, daughters Leigh Ivy (Brandon) of Valrico, FL; Cindy Reed (Morris) of Highlands, NC; Melanie Carter (Jeff) of Elizabeth City, NC; sons Allan James (Pam) of Thomasville, GA; and Jeff James (Mary) of Franklin, NC, eight grandchildren Jackie Petrone (Vince), Allan James II (Jessica), Megan James (Laura), Taylor, Michael and Jessica Carter, Jason and Ryan Coggins, four great-grandchildren, and two sisters Wilma J. Gordon and Geraldine Crowe (Wayne). For 50 years Herb served the Town of Highlands. He began his career with the Town in 1957 as a lineman. 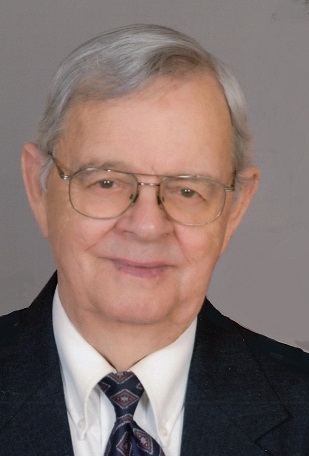 He was hired as Town Clerk and Treasurer in 1961, where he worked until his retirement in 1989. After retirement, he served sixteen years on the Town of Highlands Board of Commissioners. He retired after 27 years as a volunteer fireman and Treasurer of the Highlands Volunteer Fire and Rescue in 1989. Herb was recognized for his civic service in 1989 when he was received the “Outstanding Citizen of the Year” Robert B. Dupree Award from the Highlands Chamber of Commerce. He was Vice Chairman of the Macon County Planning Board. He served as Treasurer of the Board of Trustees of the Highlands Biological Station. He was a member of the Board of Trustees of the Highlands Cashiers Hospital. Herb was a lifelong member of the Highlands United Methodist Church where he volunteered many hours. Through the years he served as Chairman of the Administrative Board, Treasurer, Trustee, and Building Committee. A memorial service will be held Tuesday, September 11, 2018 at 3:00 pm at Highlands United Methodist Church with Reverend Randy Lucas officiating. Burial will follow at Highlands Memorial Park. The family will receive friends from 1:30pm to 3:00pm. Donations may be made to the Highlands United Methodist Church – Building Fund. Bryant-Grant Funeral Home is serving the James family.